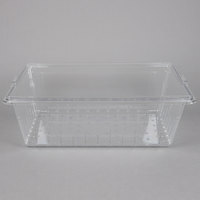 Use this Cambro 18268CLRKIT135 Camwear 18" x 26" x 9" clear colander and food storage box kit for storing your fresh food items. 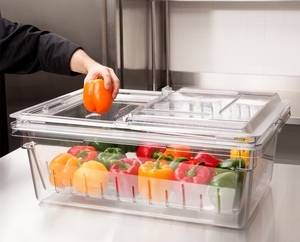 This Cambro Camwear colander kit is perfect for storing raw meats, fish on ice, or bulk produce. 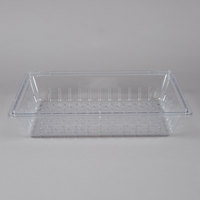 It comes with a food storage box, a colander, and a sliding lid for easy access to the box's contents. 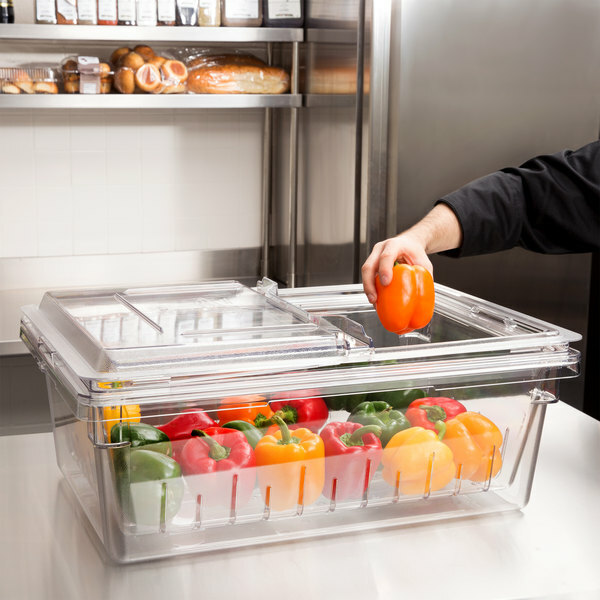 This kit ensures that your foods are safely contained in your restaurant, school, or healthcare facility's kitchen by offering you a convenient storage or draining solution. 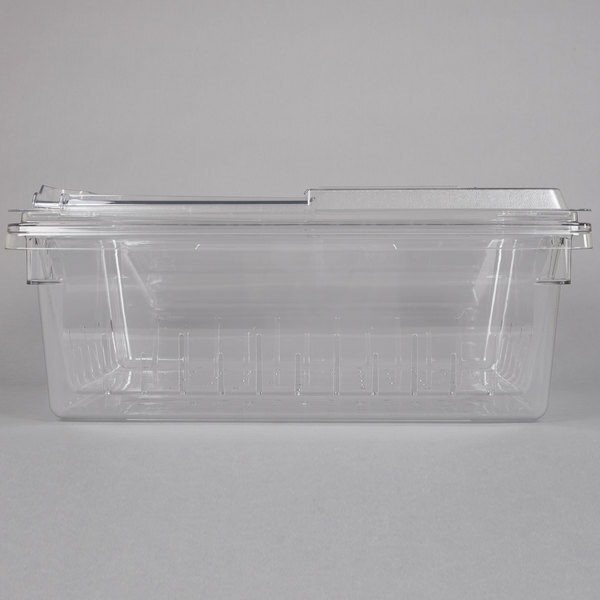 "These Cambro storage containers are so very useful in our restaurant. You can immediately see what is inside, they are very sturdy, and they clean up well." 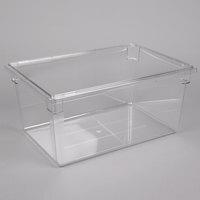 This storage box is made of virtually-unbreakable polycarbonate that can withstand temperatures from -40 to 210 degrees Fahrenheit, allowing it to be used even in both coolers or freezers. 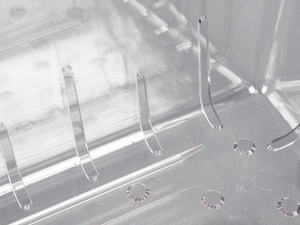 Plus, its plastic construction won't react with food and it resists stains and odors. This kit comes complete with a 8" deep Camwear colander that allows juices and liquids to drip into the box below, offering you a simple and effecting straining solution. The sliding lid fits perfectly on this Camwear food storage box in order to provide you easy access to the contents and keep food items secure. 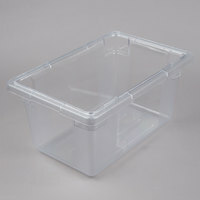 Featuring a textured bottom to reduce scratching and molded-in handles, this box is easy to carry and stow away. Plus, the storage box can be stacked with other boxes to help maximize your storage space. 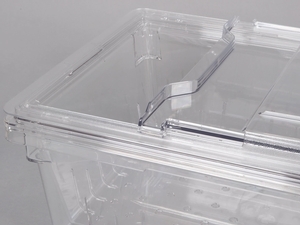 A safe solution for holding bulk foods, this Cambro box is sure to help keep your kitchen organized! 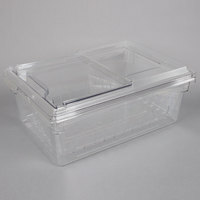 These Cambro storage containers are so very useful in our restaurant. You can immediately see what is inside, they are very sturdy, and they clean up well.